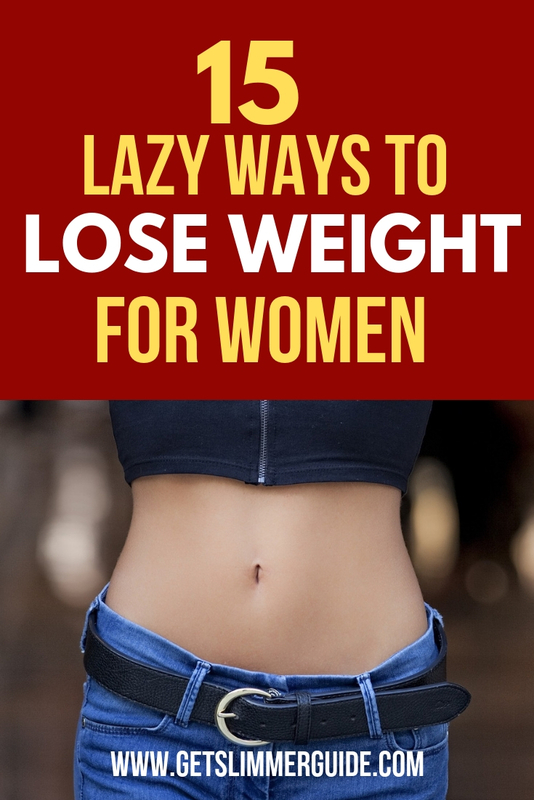 15 Lazy Ways to Lose Weight for Women - An Easy Weight Loss Guide! 15 Easy and Lazy Ways to Lose Weight for Women! So you want to lose weight, but you feel lazy or tired to exercise or do something that is too time-consuming? No worries! Because today, we will be talking about the various lazy ways to lose weight for women . Truth is, you don’t need to feel embarrassed that you are looking for easy ways to lose weight for lazy people. You are definitely NOT alone! I feel lazy and tired sometimes too. And our modern day busy and fast-paced lifestyle doesn’t help matters either. So, we’ve got to do what we can to achieve our weight loss goals. And if using easy weight loss tips for lazy people is our way out, so be it. No need for apologies. TBH, I like things EASY and this is why I’m sharing some of these lazy girls weight loss tips with you today. So keep reading to find out! 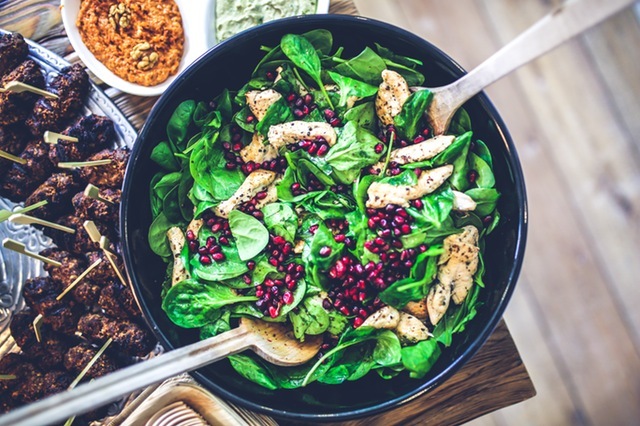 If you want to drop a few pounds fast, one way to start dropping those pounds is by cutting out that bread and pasta and those sugary drinks for the next several weeks. And if you only have one soda pop a day, you can save almost 1000 calories a week by skipping that soft drink. If you consume 2 or more of those soda pops you can save almost a pound a week simply by replacing those sugary drinks with water. Cutting out bread and pasta if those are foods you eat on a daily basis can save you another 1000 calories or more a week. Simply by exchanging some of those high calorie foods with healthier options you can easily cut 300 calories from you daily count without even dieting. This adds up to more than a pound every two weeks. Eat clean foods … foods cooked with real ingredients. Avoid processed foods that are packed full with artificial colors and flavors. You should definitely avoid fast food if you really want to shed those extra pounds! You will be better off cooking your own meals. That way you would be able to choose the right ingredients that are healthy and weight loss friendly. Incorporate more fiber-rich foods into your diet. Not only does fiber help suppress appetite and make you feel full for a longer period, but it also helps to flush out fat from your body. Protein helps you build more muscle mass, which is helpful for burning calories. The more muscle you have the faster you burn calories and the easier you lose weight without much effort. Don’t starve yourself…eat 4-5 small healthy meals a day. This will help keep you full throughout the day, so you don’t feel too hungry. And when you don’t feel too hungry, you won’t binge eat or over-eat. Using smaller plates to eat helps with portion control. We tend to want to finish all the food on our plates. It may be because we are taught to not waste food. So, one of the best ways to control the quantity of food you consume is to eat on small plates. Instead of using a plate that can hold 700 calories of food, you should try using a plate that has space for only 150-200 calories. Eating slowly will help you consume less. This is because it allows time for your brain to get signal that you are full. It takes the brain about 20 minutes to register that you are full. That is why you are likely to overeat if you are eating very fast. So, take time to chew your food and enjoy the process. Not only will it help you enjoy the food more, but it will also help you eat less and lose weight the lazy way. You may be wondering, what has gum got to do with weight loss? However, this is one of my favorite lazy way to weight loss. Maybe it has to do with the fact that I like chewing gum. But here is the good news for you, chewing gum helps to curb appetite, making it easier for you to eat less and cut your calorie intake. And less calorie intake = weight loss. Let’s be honest. It’s not that gum fills you up or something like that, but it helps to take your mind off food. Most often we eat not because we are hungry, but because we are bored. Chewing gum helps keep your mouth busy, thereby preventing you from wanting to eat out of boredom! However, be sure to get sugar free gum. Remember, you are supposed to cut out sugar and chewing gum that is chocked full of sugar defeats your goal. One great and lazy way to lose weight quickly is to up the amount of water you drink each day. Drinking water can help fight off those hunger pangs. It also keeps you hydrated and full, thus helping you consume fewer calories. Try keeping a pitcher of ice water with cucumber or lemon slices in it to make drinking it feel more like a treat and add a more refreshing flavor. That cup of coffee may be tempting, but it is NOT good for your health. It will also impede your weight loss. Drinking coffee may help boost your energy and keep you alert, but the energy increase is only temporary and short-lived. Worse still, the caffeine content can cause insomnia, leading to stress and other health issues that can derail your weight loss efforts. You can wean yourself off of coffee with Teecino – a coffee substitute. 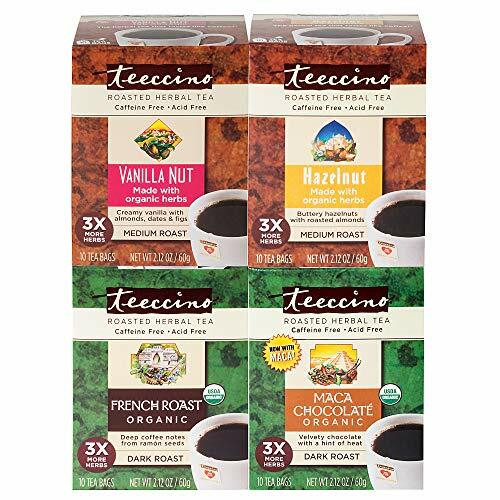 Teecino has rich coffee taste, but without the caffeine (it’s caffeine-free and acid-free). In fact, its energy boosting ability comes from nutrients instead of stimulants. Better still, it comes in a variety of flavors to choose from. Believe it or not, brushing your teeth makes you more reluctant to snack or consume more food. Brushing your teeth right after your last meal of the day may actually prevent you from that late night snacking. Dancing is one of the best forms of exercise for lazy women. Dancing can help you burn a lot of calories. It also helps tone those muscles. You don’t even need to go to a dance studio or learn any fancy dance steps to achieve your goal. YES, I said it. All you need is music, which I know you have in your home. Just turn on any music of your choice and dance the calories off without feeling that you are exercising or doing something you hate. I do that often! Oh yes, I’m LAZY! Try to reduce your stress levels. Stress increases the production of cortisone – a hormone that increases your appetite and makes you binge eat. The resultant effect is weight gain! Be happy. Be positive. Avoid things that tend to stress you out and learn how to effectively manage stressful situations. Meditation can be of great help in this regard. One of the lazy ways to lose weight is to get enough sleep. When you get enough sleep, you wake up the next morning feeling well rested, calm and ready for the day. On the flip side, lack of sleep leads to stress, which is bad for weight loss. You need 7-8 hours a day if you really want to achieve your weight loss goal as a lazy woman. You also need adequate sleep to be able to function optimally. Losing weight can take some time, so you need to be patient and consistent. You will see the result if you keep at it. And the best way to ensure that you persist is to take it one day at a time. Don’t compare yourself to anyone. Keep in mind that you are doing this for YOU. And if you DON’T quit, but keep going, those small lifestyle changes you are making and the small steps you are taking each day will take you to where YOU want to be. I hope you found the 15 lazy ways to lose weight helpful. Do you have any easy weight loss tips to share? Feel free to do so using the comment section below.